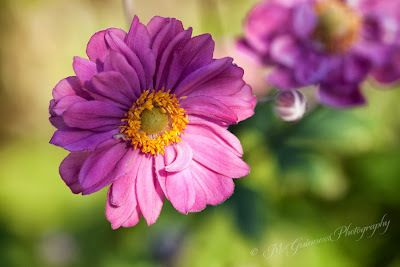 Fall-blooming anemones definitely make my list of flowers I love. They spread fairly easily by self-seeding. While other gardeners might view them as thugs, I don't mind when they pop up all over the garden. These flowers keep the garden looking pretty as fall begins. The black swallowtails are back!